The universe of Rick Future is vast and extensive. Filled with colorful characters, dangerous species and mysterious worlds and planets there is a lot to discover for you. In the year 2289 TC (Terran Calendar) one of the oldest dreams of mankind became reality. During the development of a colony on planet Mars, the human species made first contact with an alien race. At least this is what they thought. The Fordians, a technologically advanced species of space travelers had indeed been watching planet Earth for many hundreds of years. After making contact they offered the humans to join the intergalactic league of nations, a federation of different races and species with the united goal to keep peace and order among the inhabitants of the galaxy. From this day on mankind became a new player in a complex game played among the vastness of the stars. On June 5th in the year 2362 TC the end of the Earth had come. Without warning a massive Jozean armada of space ships entered the orbit of planet Earth – and attacked. 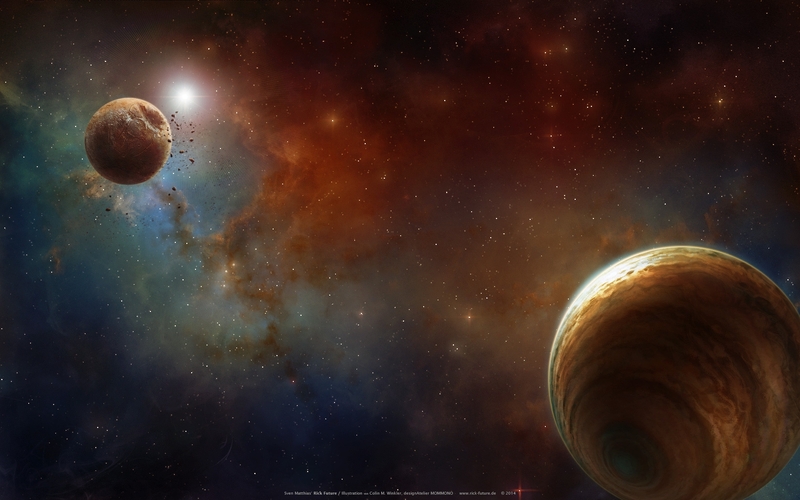 Within a few hours the entire Terran culture along with twelve billions souls was wiped off the face of the galaxy. All the Jozeans left behind was a glowing empty husk of a planet which didn’t allow even the slightest bit of human life. Only very few Terrans managed to escape the genocide. The dreaded, aggressive Jozean space fleet attacked abruptly and without mercy and only few survivors managed to flee to the nearby solar systems. Less than 200 million humans have survived the extermination of their world. Today in the year 2385 TC the Terran race is threatened by extinction, and without a central government. Only some loosely organized small communities remain on the few human colonies scattered throughout the galaxy. It is uncertain if mankind will ever find its way back and reunite in order to survive.